Today my little boy turned 10. 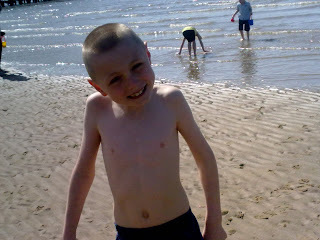 Its hard to imagine that it was 10 yrs to this day that i gave birth to him. So much has changed through these 10 years. He has turned into a handsome young man. Tall, slim and a mouth liek a foghorn lol.